Some of you may be familiar with the game Frets On Fire; a free equivilent to the rather awesome Guitar Hero series of games. 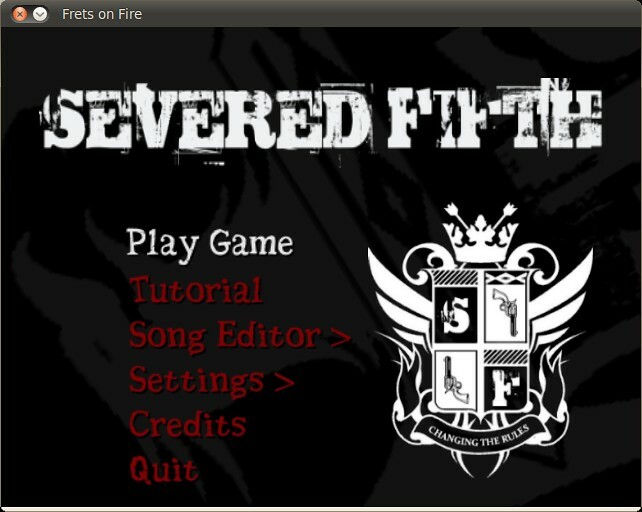 For some time now I have dreamed about having a special Frets On Fire: Severed Fifth Edition version of the game, with all Severed Fifth songs available to play. Well, this weekend I started working on exactly this. To make this a reality I need help to get all the Severed Fifth songs transcribed into Frets On Fire format. If you are interested I have written up more details about the game and how to get involved and also kicked off a thread on the Severed Fifth forums to discuss this. Thanks in advance to everyone who helps with this effort! I’ve actually never seen Frets on Fire before, I’, going to have to look it up. Is it a Linux only thing?